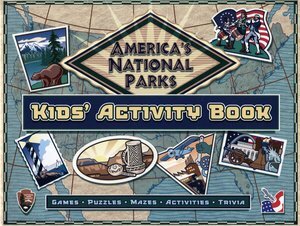 This kids' activity book features games, puzzles, mazes, activities, and trivia all relating to America's national parks! This activity book is broken down by the parks' themes as well as in which region they're located. It also contains pages for cancellation stamps, so your children can collect them and remember when they visited each park. Paperback, 49 pages.